Work With The Best Golf Coaches In The World And Achieve Your Peak Potential. The standard practice membership is for those of you who want expert coaching at an affordable price. The programme includes all of the same great features included in the basic practice membership programme but with additional coaching and practice time. If you are aiming to shoot for the stars and want results FAST, then the “Platinum Practice Membership” is exactly what you have been looking for. This incredible programme is our “done for you” service. Every individual has their own ideal perfect golf swing. We help you find yours based on your body shape, flexibility and athletic ability. The swing is made to fit you. We can show you how to improve the efficiency and power of your golf swing to increase your clubhead speed and driving distance. We can show you how to reduce your scores through using an effective scoring strategy and mind set. Your scores will come tumbling down. Through using Trackman ball flight analysis, we are able to ensure that you are producing a “SQUARE IMPACT” consistently to hit accurate golf shots. In your coaching programme, we will show you how to build a consistent, repeatable golf swing. Your programme also includes membership to our state of the art studio allowing you to take advantage of our fantastic facilities including TrackMan and our video analysis system. 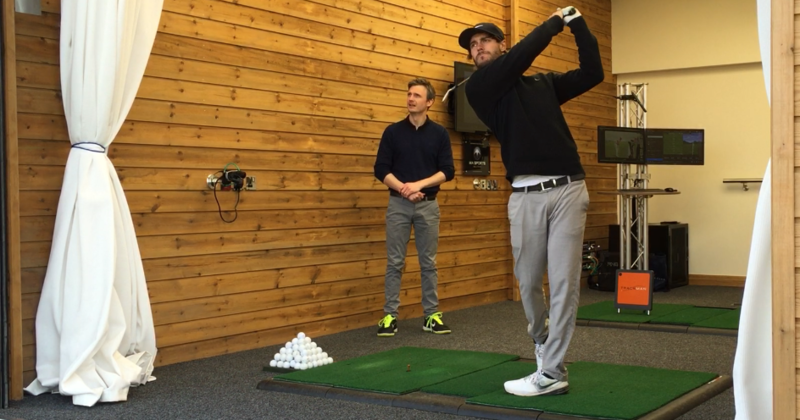 I have been working with Greg over the last year and my golf swing has massively improved. Greg’s knowledge of the golf swing enables his students to hit powerful, consistent golf shots time after time. Greg’s simple 3 step system is easy to learn and the results will astound you. I have finally found an instructor/mentor who not only understands the golf swing in great depth, but also matches his knowledge in a way that suits individual needs. I have more confidence now in my golf swing and also can relate to his instruction when on the golf course…..a true professional. You can only improve! Start Your Game Changing Programme Today.